Lean yet naturally tender with a texture similar to beef, the flavor of elk is best described as a cross between venison and beef. 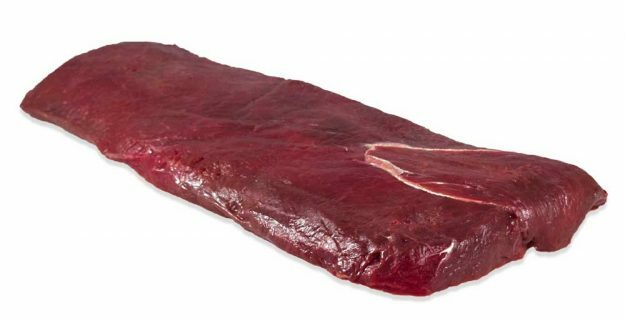 It's more robust and beefier than venison, leading some chefs and diners to prefer it over other game meats. Elk's flavor profile is versatile to pair with traditional game ingredients (such as cloves, chestnuts, huckleberries, cherries, red wine and wild mushrooms), as well as ingredients that are commonly used with beef (including beer, greens, cheeses, and even chocolate). Similar to other game meats, elk is low in fat and cholesterol which makes this an ideal healthier alternative to conventional beef. This elk is farm-raised free range in Canada for consistent flavor and texture. Elk raised on farms has a flavor that's cleaner and more mild compared to wild hunted elk.